Looking for a unique Christmas gift? We have a wide selection of Irish and Celtic gifts as well as US products. Start your Christmas gift search here. Looking for Irish recipes? Try our Irish recipe index. Don't miss the Braised Cabbage, Irish Stew and Boxty recipes. The ancient Celts, ancestors of the modern-day Irish, Welsh, Gaelic, and Breton peoples, have a rich history, and dominated much of what is now Europe from 1600 B.C. to 850 B.C. These nomadic tribespeople left an influential mark on the world, and are justly renowned for their achievements in the fields of music, mythology and folklore, poetry, literature, drama, the visual arts, weaponry, toolmaking, crafts, and jewelry. During the Iron and Bronze Ages, the Celts are said to have developed the iron plow, the rotary flour mill, and horseshoes; in medieval times, they displayed a more creative and artistic side, leaving behind the manuscript of painstakingly illuminated pages that make up the Book of Kells. Today, the tradition continues, with Irish writers, poets, and musicians considered among the most accomplished in all the world. 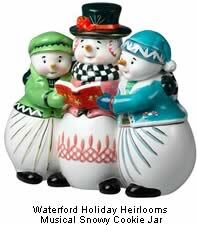 An Irish Christmas.com presents an eclectic collection of gifts that evoke the spirit of ancient and modern-day Ireland. On the product pages, you'll find elegant silver jewelry bearing centuries-old Celtic designs; CDs of traditional and contemporary Irish & Celtic music; Irish apparel items made from fine Irish linen and wool; books on Irish history and travel; and other special gifts that will bring you the feeling of Christmas in Ireland, no matter where you live. Be sure to bookmark this page and check back often and visit this ever-expanding site to learn more about the myriad cultural contributions of the Celtic and Irish people. Cead Mile Failte (A Hundred Thousand Welcomes) and thanks for visiting An Irish Christmas!